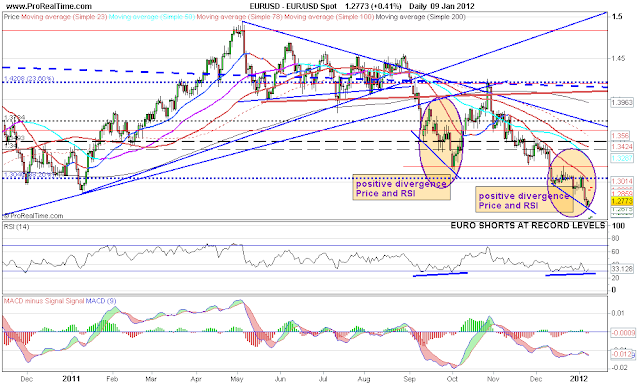 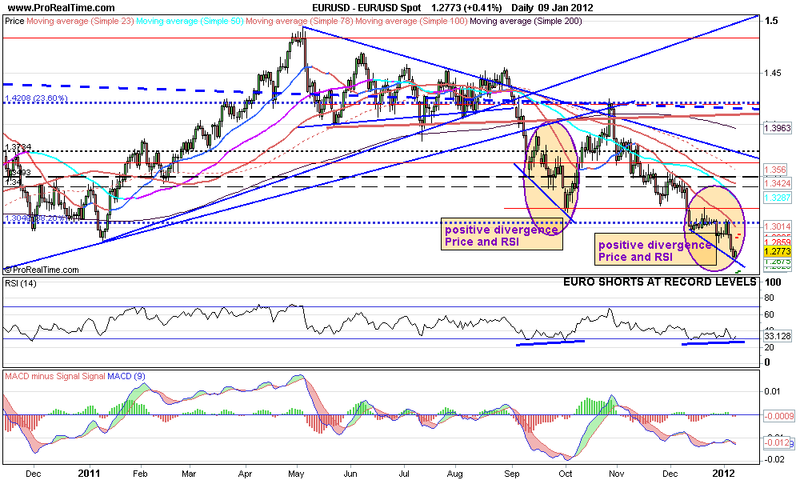 There are record numbers of EURO shorts and looking at the DAILY chart of EURUSD we can see some positive divergences building ..POSITIVE DIVERGENCE between PRICE and RSI. 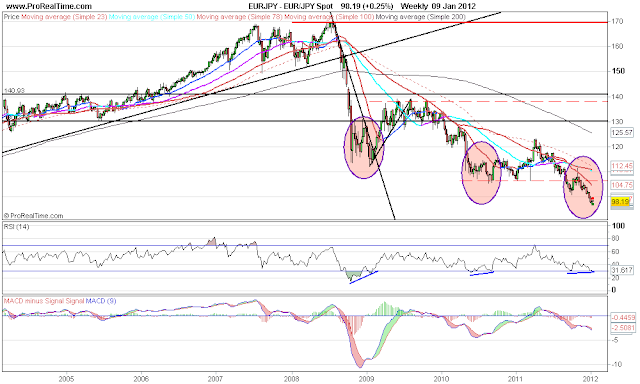 This is highlighted on the chart (first circled area) and the current situation in the 2nd circled area. 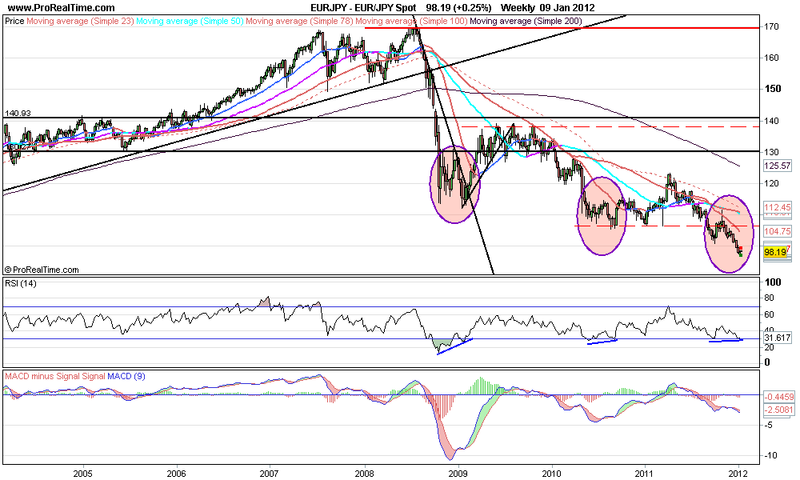 On the EURJPY the divergence is clear on the WEEKLY chart each time generating a short squeeze rally.